Fun-filled holidays in Les sables d'olonne in a mobile home are available in this residence. 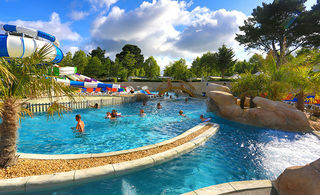 At your holiday residence in Les sables d'olonne a swimming pool is at your disposal. 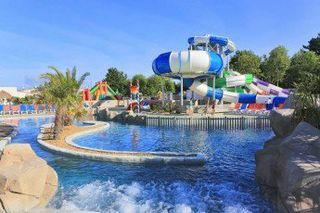 An aqua park with slide will delight your dear little darlings during your week's holiday in a vacation residence in Les sables d'olonne. 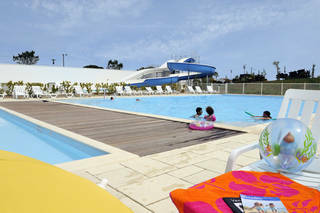 You can enjoy the indoors swimming pool of your residence in Les sables d'olonne during your stay regardless of the weather outdoors. 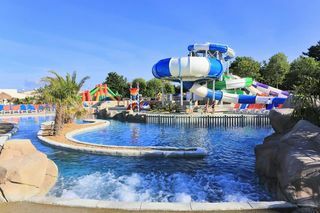 To complement your stay in Les sables d'olonne, the residence of which offers tennis courts at the disposal of holiday makers. If you wish to wash your clothes, the residence has a Laundromat at your disposal in your holiday residence in Les sables d'olonne. At the end of your weeks' vacation, you can decide to opt for the maid service offered as an option by the residence in Les sables d'olonne. If you go on vacation with your newborn in the holiday residence in Les sables d'olonne, you will be able to rent a baby cot. You will find a restaurant, during your stay in the vocational residences in Les sables d'olonne, if you decided to not cook in your apartment. For your comfort, your holiday resort is located in close proximity to several shops in Les sables d'olonne. Mobile home 2 bedrooms 6 pers. When to go to Les sables d'olonne ?